Riversimple Rasa is the name of a new hydrogen-powered prototype that is based on an old design and wants to be on the market in 2018. 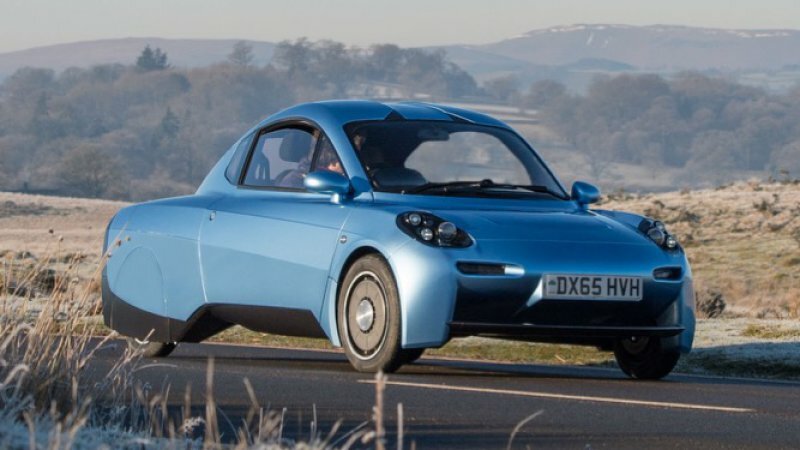 Riversimple Rasa brings hydrogen dream back to the UK originally appeared on Autoblog on Wed, 17 Feb 2016 13:05:00 EST. Please see our terms for use of feeds. General Motors will rename GM Powertrain to GM Global Propulsion Systems. GM’s Global Propulsion Systems is collectively the group of more than 8,600 people that design, develop and engineer all propulsion related products and controls for GM worldwide. Other notable systems include award-winning products such as the all-new 3.6L V6 with cylinder deactivation available in the Cadillac CT6. GM has more vehicles on the road with this fuel-saving technology than any other manufacturer. Other recent recognized achievements include the award-winning second-generation Voltec propulsion system in the Chevrolet Volt and the drivetrain for the Opel Astra. The new name is another step on our journey to redefine transportation and mobility. Global Propulsion Systems better conveys what we are developing and offering to our customers: an incredibly broad, diverse lineup—ranging from high-tech 3-cylinder gasoline engines to fuel cells, V8 diesel engines to battery electric systems, and 6-, 7-, 8-, 9- and 10-speed to continuously variable transmissions. Gone are the days when a gasoline engine and a transmission designed independently meet a customer’s expectations. Today’s customer is demanding unprecedented technology integration that requires unprecedented engineering and supplier partnerships. The diversity of our propulsion systems requires a name that reflects what we are already working on and delivering to our customers. I believe this will establish an industry trend. GM Global Propulsion Systems is responsible for all GM vehicle propulsion systems’ design, development and validation, including engines, transmissions, electrification systems, fuel cell development and all associated control systems. The Pontiac, Mich. Global Propulsion Systems Engineering Center is the flagship of GM’s eight global powertrain engineering centers, which also include Brazil, Germany, Italy, India, China, Korea and Australia, collectively representing $1.5 billion in global investments in recent years, including joint ventures. National Electric Vehicle Sweden (Nevs) has signed a framework agreement on taking a 50% stake in Chinese transport vehicle manufacturing company New Long Ma (NLM). NLM is part of the Fujian Motors Group, owned by the Fujian provincial government. The company has during the last three years invested three billion RMB (US$459 million) in a new plant that today has a production capacity of 150,000 vehicles per year. NLM’s product portfolio includes an electric commercial distribution minivan which is a part of the agreement. Currently, the product is the third-most sold electric commercial minivan in China, with more than 12,000 units sold during its first production year 2015, according to Nevs. This deal broadens our product portfolio with an additional vehicle type which contribute to our vision of sustainable transport solutions. The deal is of significant strategic importance to implement our business plan and this will speed up our time to market. The cooperation will also play an active role in fulfilling Nevs’ offer to Panda New Energy with 50,000 electric logistic vans and 50,000 electric mini-buses. The framework agreement was signed by the Fujian Motors Group, Long Ma Industrial Co.,Ltd, Nevs AB and Nevs’ part-owner State Research Information Technology, SRIT. According to the agreement, Nevs will acquire 50% of the shares of New Long Ma and SRIT 15%. Fujian Motors Group remains as a 20% owner and Long Ma and others 15%. Fujian New Long Ma Motor Co., Ltd. was established in April 1997 and is affiliated to Fujian Motors Group Co., Ltd., which owns Fujian Benz—a commercial vehicle manufacturing base through cooperation with Daimler, a China-listed vehicle company King Long Motor Group, and a JV between China Motor and Mitsubishi Motors called South East Motor. Riversimple Movement Ltd. unveiled the Rasa, a road-legal engineering prototype of its first two-seater hydrogen fuel cell road car, built for full European type approval. (Earlier post.) Supported by a £2-million (US$2.9-million) grant from the Welsh government in 2015, the Rasa was designed for lightness, strength, affordability and safety. Riversimple plans to offer the car to motorists through a “sale-of-service” model. For a fixed monthly fee and mileage allowance, similar in expenditure to leasing and running a new family-sized hatchback, the company will cover all repair, maintenance, insurance and fuel expenses. Customers will simply exchange or return the car at the end of the ownership period. Led by Riversimple’s Founder, Hugo Spowers, the Rasa has been engineered by a team from carmakers, Formula 1 teams and aerospace engineering companies. Its lines were styled by Chris Reitz, one of Europe’s leading car designers. With a total curb weight of 580 kg (1,279 lbs)—nearly half of a small car—it features a carbon composite chassis and only 18 moving parts in the entire powertrain. Riversimple will adopt an open-source approach to its technology and componentry to encourage the proliferation of its technology and economies of scale within the sector. The result is a range of up to 300 miles (483 kg) on 1.5kg of hydrogen and a top speed of 60 mph. Starting later this year, following funding to match a €2-million (US$2.23 million) EU grant, Riversimple will be conducting a public 12-month Beta trial of 20 Rasa prototype cars as part of the continued development of the first full production model which will come to market in 2018. It will be offered to individuals in a strategically planned phased roll-out by region in order to support a low risk, commercially practical introduction of profitable hydrogen refueling infrastructure. Collaborating with the Morgan Motor Company on their first hydrogen fuel cell car (“the LIFECar”) in 2008 (earlier post), Riversimple’s small “Hyrban” technology demonstrator was launched the following year (earlier post). The arrival of the company’s Rasa engineering prototype in 2016, sees Riversimple take a hydrogen-powered commuter car from the laboratory to the road in only 8 years. The post Riversimple Rasa is a fuel cell commuter car from Wales appeared first on Gas 2. Korea-based SK Innovation announced that it has been selected as a Lithium-ion battery cell supplier for electric vehicle projects for Mercedes-Benz passenger cars. Battery cells supplied by SK Innovation will be formed into battery packs for use in future Mercedes-Benz electric vehicles. The SKI battery cells will be deployed in multiple electric vehicle models in diverse segments. After doubling capacity in Seosan, Korea, SK Innovation is meeting increased orders with production running 24 hours a day, 7 days a week. SK Innovation is expecting to expand its manufacturing volume through additional projects with current customers and new business opportunities, in addition to the new orders from Daimler. 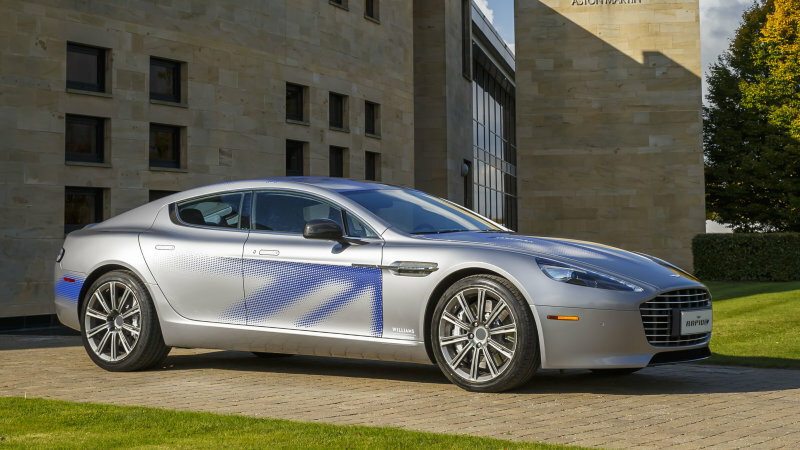 Aston Martin now has a partnership with Chinese company LeEco to develop EV tech, and they hope to bring the RapidE electric sedan to production by 2018. Aston Martin partners with Chinese company to make RapidE by 2018 originally appeared on Autoblog on Wed, 17 Feb 2016 10:10:00 EST. Please see our terms for use of feeds. This new signing extends the existing collaboration between the two companies. In January 2016, LeEco and Aston Martin revealed the first results of their partnership—an Aston Martin Rapide S incorporating the latest Letv Internet of the Vehicle (IOV) system. The second area of the partnership—the development of low-emission vehicle technologies—has been accelerated as they have developed their respective plans for launching a range of new electric vehicles during the second half of the decade. The Aston Martin RapidE concept was created to explore how the company can take an existing production vehicle and create an all-electric sports sedan. Since the creation of this concept vehicle, Aston Martin and Letv have been advancing the work on production feasibility including the identification of technology solutions for battery systems and powertrain. Both companies are now focused on bringing the RapidE to market in 2018 utilizing the best technologies from the companies’ portfolios. “Signing of this MOU ushers a new phase of the collaborations between Aston Martin and LeEco. LeEco’s SEE Plan is dedicated to build electric, smart, connected and socialized cars. We have been targeting the highest standard in the auto industry in terms of design, R&D and manufacturing of our electric cars. Radio Flyer is introducing its Tesla For Kids electric toy car in partnership with Tesla Motors, which does not pay for advertising but is perfectly happy to have others do its advertising for it. The post Radio Flyer presents its electric Tesla For Kids starting at $499 appeared first on Gas 2. The post 2017 Chevy Trax Debuts at Chicago Auto Show appeared first on Gas 2.